Welcome to Part Two of our Home for the Holiday series. 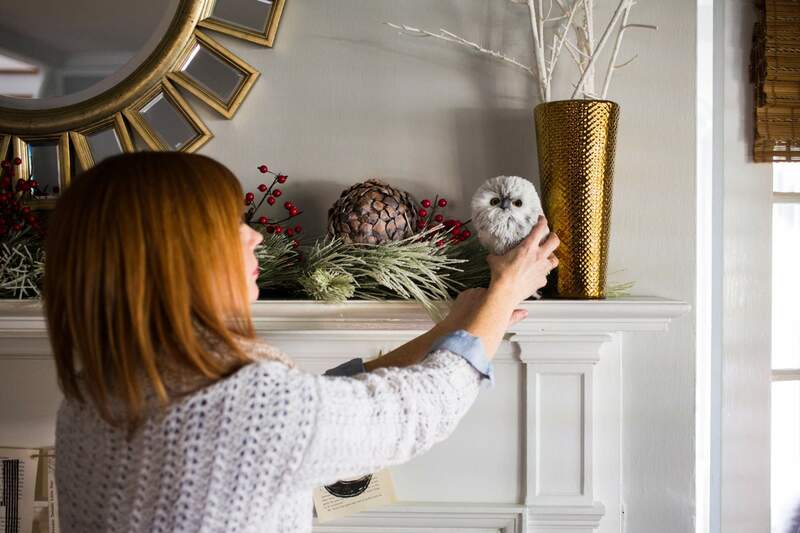 In case you missed it, see this gorgeous modern woodsy wreath tutorial by Alison O’Rourke and Allison Maucere, longtime friends and Chick-fil-A designers who have a passion for making everyday life just a little more beautiful. Now that the front door is dressed with greens and welcoming to all who enter, it’s time to move inside the home. 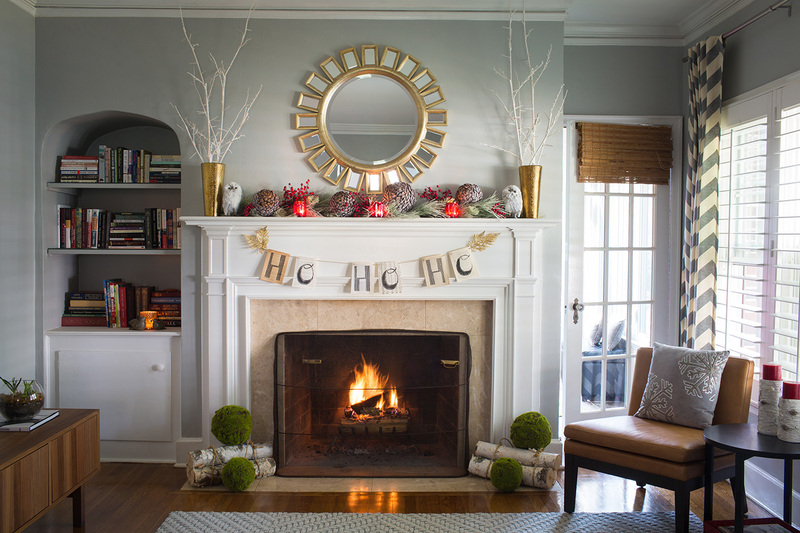 According to Maucere, a beautiful mantel includes layers, textures, height, symmetry and scale. 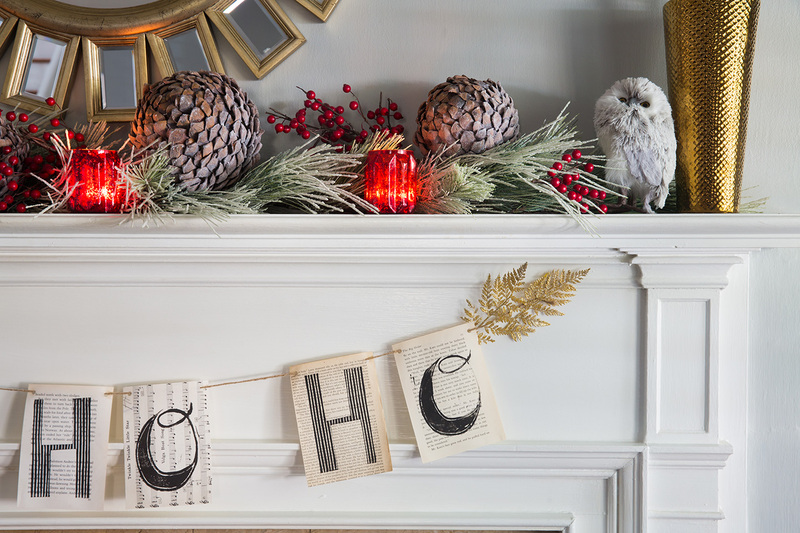 Here’s how to build your own holiday mantel display based on these design principles. 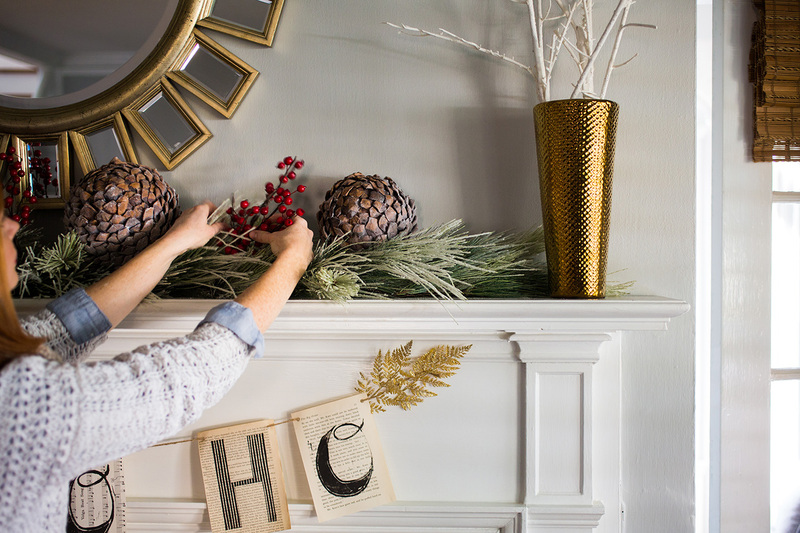 Step 1: Anchor the ends of your mantle with two identical vases filled with sticks. The vases create symmetry and frame the design, and the sticks add height. Any kind of vases and sticks will work, but Maucere prefers gold vases with spray-painted white sticks for an interesting contrast. 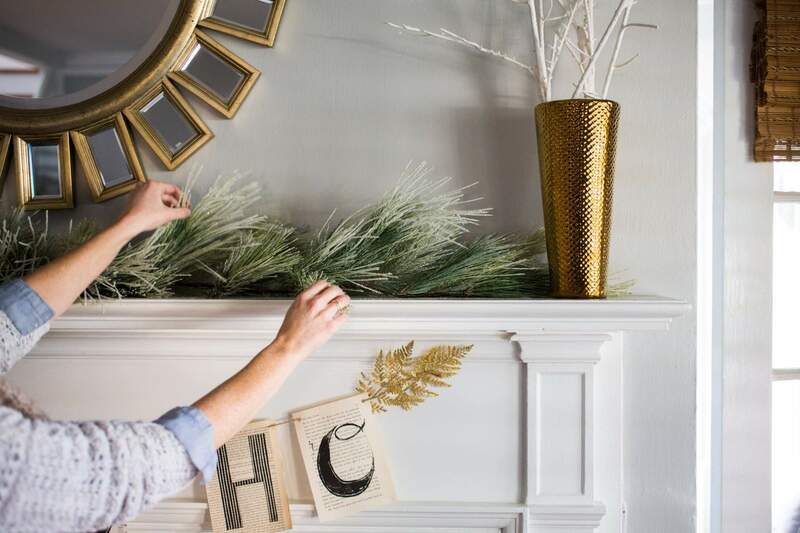 Lay your greenery across the bottom of the mantel between the vases. Step 2: Layer in red berries and pinecones. Faux or fresh, small and large. It all works, but the key is disbursing them evenly for symmetry. Step 3: Nestle in votive candle jars for more layers and shine. Maucere recommends red for contrast. Step 4: Don’t forget the playful element! 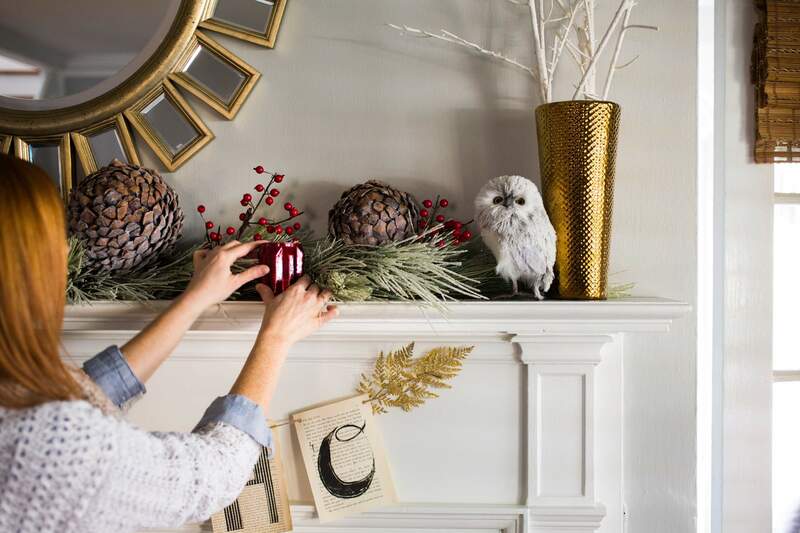 Woodland animals like this owl keep the mantel from looking too serious. Be sure to put one on each end for symmetry. Step 5: Add a banner. Take old book pages or sheet music, use a black permanent marker to draw letters for your own phrase, punch holes in the top, then hang it with twine. Next: The Allisons show how to set the perfect table in Part Three of our Home for the Holidays series.